You are probably reading this, because you know my geeky self, and you have an idea what I’m about to talk about. Second clue would be… Bill Bailey! I suppose if you are still reading this, you are either aware of what I am talking about (fingers crossed), or otherwise you must be a curious cat. If you are the latter, Black Books is a British sitcom featuring Bill Bailey, Dylan Moran and Tamsin Greig. It is all filmed within a bookshop and it is hilarious. 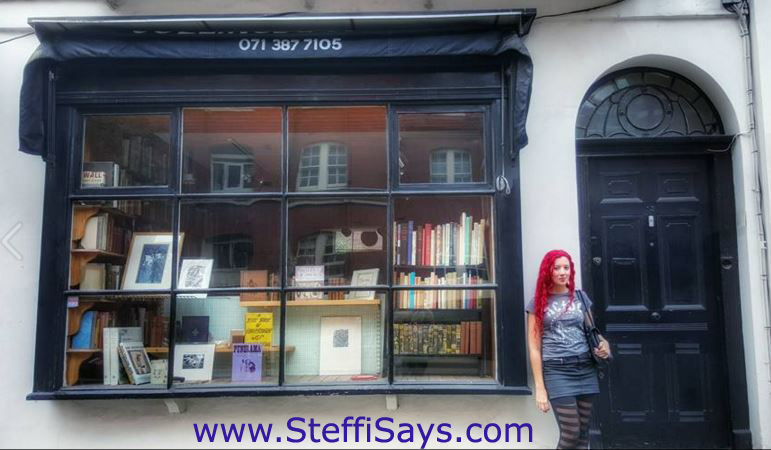 During my visit to London in July, I made my way to Black Books of course… I was staying in a hotel within 5 minutes walking distance, so I could not miss out the opportunity.